In 1989, Japanese automaker Mazda debuted an entirely new model at the Chicago Auto Show. Called the MX-5 Miata — a word that either has no meaning or translates to “reward” in old German, depending upon source cited — the compact convertible would become a sports car icon, and (eventually) the most-raced car in the world. 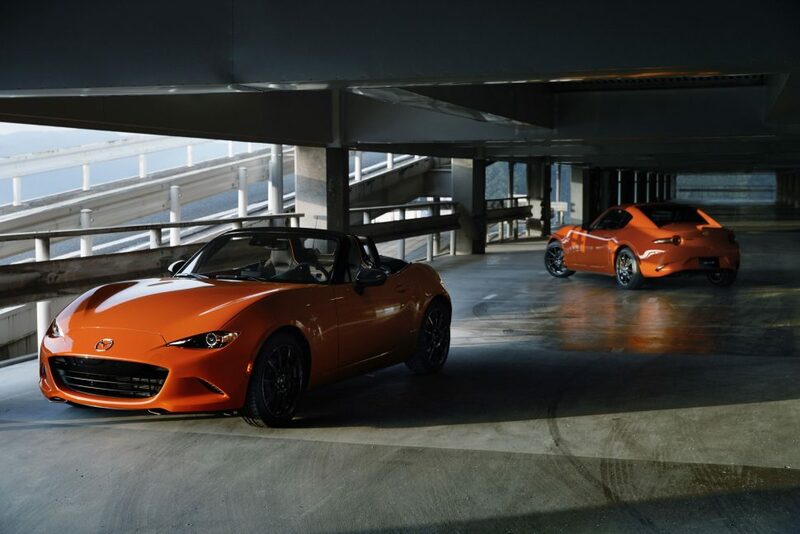 In honor of the Miata’s 30 anniversary, Mazda revealed a special 30th Anniversary Edition at the 2019 Chicago Auto Show, and the 500 examples allocated to the U.S. market sold out within hours. The MX-5 Miata is currently in its fourth generation, with the latest variant (ND in Miata-speak) debuting for the 2016 model year. 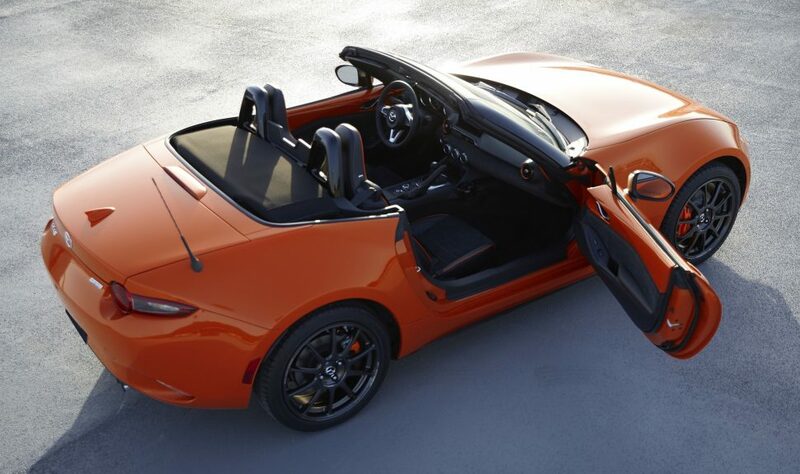 For 2019, Mazda gave its front-engine, rear-drive convertible more grunt, upping output from 155 hp and 148 lb-ft of torque to 181 hp and 151 lb-ft, addressing complaints that the latest version, though lighter, didn’t feel quicker than the previous (NC) generation. The 30th Anniversary Edition — which will be built in both retractable fastback (RF) and soft-top variants — starts with this updated Skyactiv 2.0-liter four-cylinder engine, mated to the buyer’s choice of six-speed manual or six-speed automatic transmission. 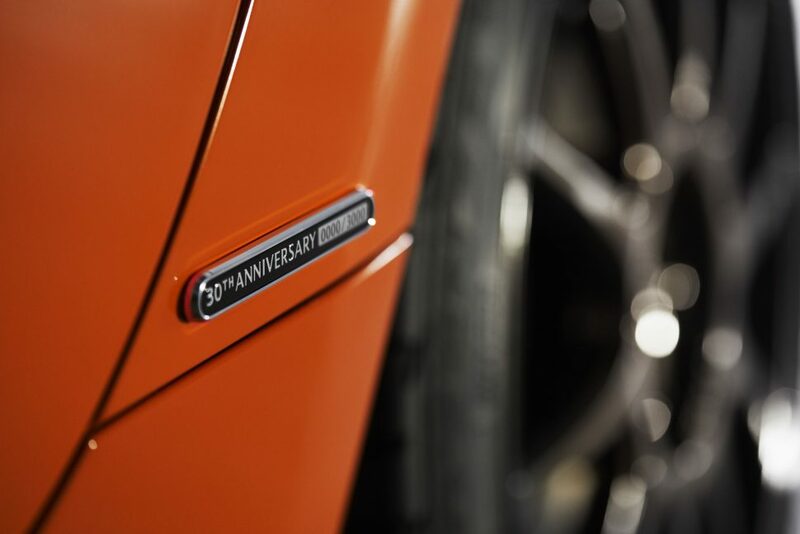 Anniversary Edition cars are finished exclusively in Racing Orange paint (RF models with a color-matched roof, cloth-top models with a black canvas roof) with gloss black A-pillars and side mirrors. The orange hue (which Mazda says is in homage to the yellow MX-5 Miata Club Racer concept shown in Chicago in 1989) is carried over to the interior as well, where its used for trim and the accent stitching on the heated Recaro seats, upholstered with Alcantara seating surfaces. Other key components of the package include 17-inch dark gunmetal RAYS wheels, patterned after those used on the Global MX-5 Cup racing car; Brembo front brake calipers and Nissin rear calipers, both in orange; Bilstein dampers (manual transmission cars only); and special badging denoting the car’s one-of-3000 serial number. That 3,000-unit production number is worldwide, with the aforementioned 500 non-sequentially numbered examples bound for the United States. 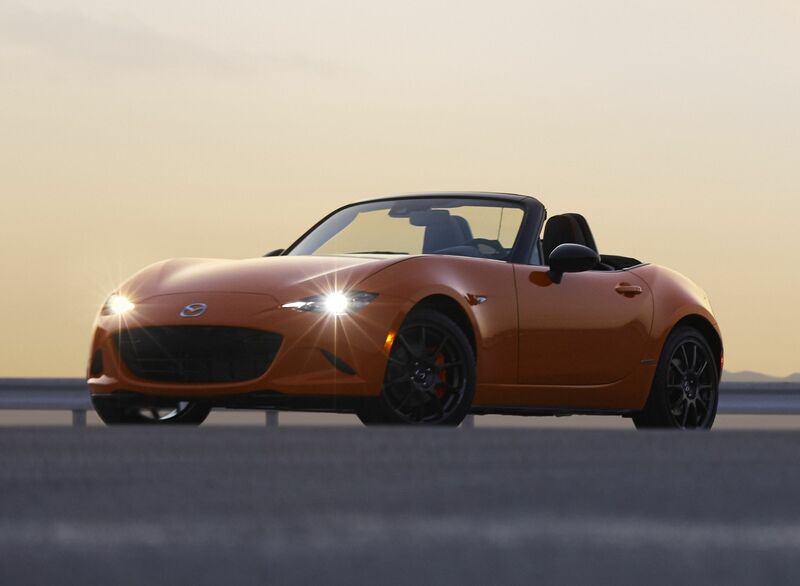 Mazda North America officially opened the order books at noon Central time on February 7, and within a matter of hours the entire U.S. production run was sold out, a testament to the enduring appeal of the Miata. Prices for the 30th Anniversary Editions ranged from roughly $35,000, for a manual transmission cloth top, to $38,000, for an automatic transmission PRHT (excluding destination charge). 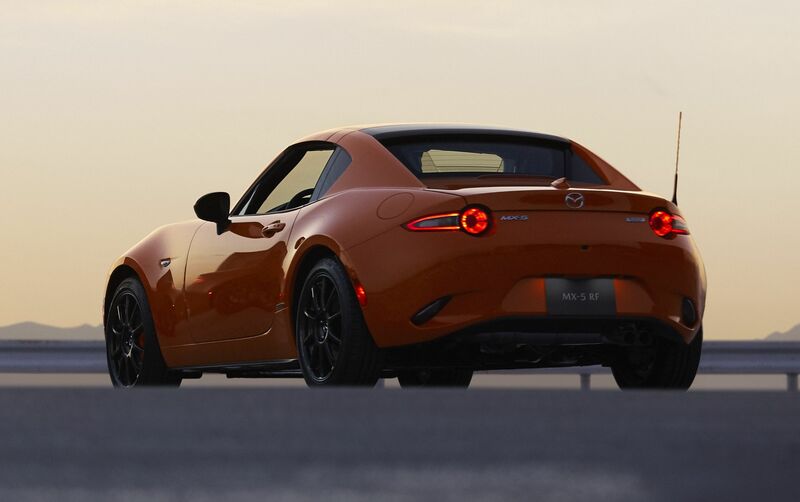 If that’s the bad news, here’s a bit of good news for owners of first-generation (NA) Miata models: Japanese Nostalgic Car reports that reproduction parts developed for Mazda’s home market Roadster Restore program will also be coming to U.S. dealers. Per Mazda CEO Masahiro Moro, that list now includes “several thousand parts,” with more to be available by June 2019.